At Kitchn, our editors develop and debut brand-new recipes on the site every single week. But at home, we also have our own tried-and-true dishes that we make over and over again 鈥� because quite simply? We love them. And we decided to start sharing some of our absolute favorites with you. Here鈥檚 a peek into what we鈥檙e cooking and eating in our own kitchens. For years I carried around a shameful secret. I am what you鈥檇 call an Italophile and when friends and family come over for dinner, they know to expect carbs, cheese, and wine. Yet, there was one dish I鈥檇 never dare to make for them: cacio e pepe. The classic Roman dish of pasta tossed with Pecorino cheese and cracked black pepper has long been my culinary downfall. It鈥檚 sounds so simple, right? How can someone who cooks for a living get tripped up by a three-ingredient dish? I鈥檇 follow recipe after recipe and end up with a sauce that would be clumpy, gooey, dry, or a weird combination of all three. I鈥檇 hang my head in disgrace then spend late nights searching the internet for the answer, only to be disappointed again on my next attempt. I had given up on cacio e pepe and fully intended on never making it again 鈥� that is until the trick of all tricks came my way when I wasn鈥檛 even looking for it. Now it鈥檚 on repeat for myself and everyone I invite over. There are countless versions of cacio e pepe out there. To be honest, I鈥檝e probably cooked them all in my attempt to find a foolproof method and they鈥檝e all let me down. 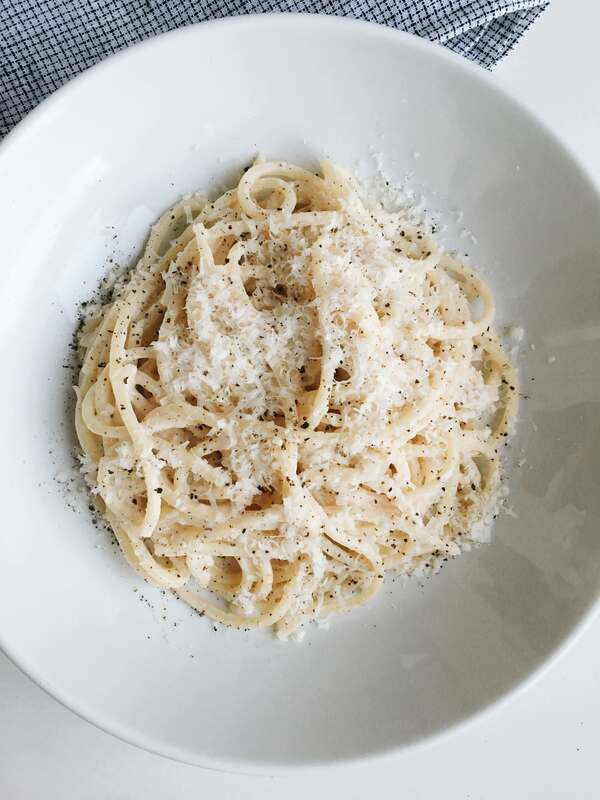 Then last fall, Deb Perelman of Smitten Kitchen preached to my choir, admitting that she too struggled with making cacio e pepe 鈥� and I felt so seen. I wanted to reach through my computer screen and hug her! Even better, she finally figured how to solve the problem, thanks to the Rome-based food writer Elizabeth Minchilli. 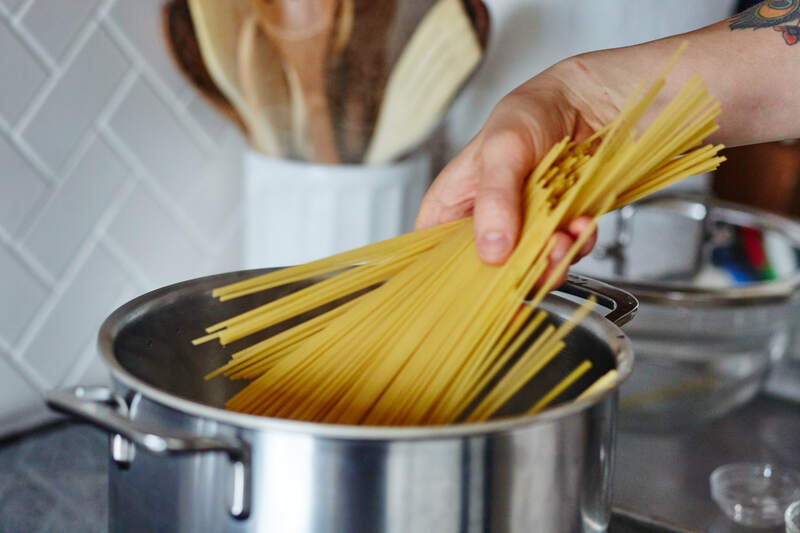 Instead of simply tossing hot pasta with lots of grated cheese and pepper (which will inevitably cause the cheese to seize up and clump), some recipes cover up any clump-age by adding cream or butter to the sauce 鈥� which isn鈥檛 true cacio e pepe. Instead, you should make the cheese and pepper into a paste and then toss it, spoonful by spoonful, with hot pasta. This prevents any separation and instead allows the cheese to melt and create that creamy, dreamy sauce that鈥檚 made cacio e pepe so well-loved, while still maintaining its true three-ingredient status. To make this perfect pasta, you鈥檒l toss grated Pecorino Romano cheese and lots of freshly ground black pepper into a food processor. You blend it while adding cold water, a tablespoon at a time, until a thick, smooth paste forms. Deb says you can also do this using an immersion blender, although I always reach for my food processor. Then you鈥檒l boil pasta as usual 鈥� I usually opt for spaghetti or bucatini since they鈥檙e traditional for cacio e pepe, but any shape will work 鈥� and reserve a cup or so of the cooking water when you drain it. You鈥檒l immediately transfer the cooked pasta to a large bowl, add a few generous dollops of the cheese and pepper paste, and start tossing vigorously to melt the paste into a sauce. You鈥檒l add splashes of cooking water as you go to loosen the paste and ensure the sauce evenly coats the pasta. Then you鈥檒l finish the whole thing with more grated cheese and freshly ground pepper and dig in immediately. The one extra tip I can vouch for from making this recipe so many times is just how versatile the cacio e pepe paste is. Make a double batch! It will keep well in the fridge for a week or two. Let it come to room temperature and then stir it into scrambled eggs, spread it on toast, toss it with hot roasted vegetables, and, of course, use it to make more pasta.